My first word wasn't "Mama," like most mothers wish. What came out of my mouth wasn't "Dada," but "FISH." Sam loves to fish He spends his days on the lake fishing for perch with his Gramps. 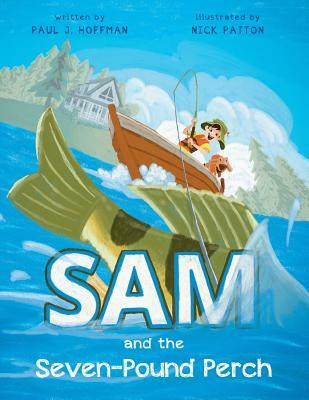 But when Gramps tells a tall tale about the day he hooked and lost a seven-pound perch, Sam is determined to catch the monster fish. With Gramps' lucky hat and his faithful dog Jock, Sam begins his search for the world-record perch. Sam and the Seven-Pound Perch is a delightful, humorous, and inspiring story about determination, family, friendship, and doing the right thing. Readers young or old, angler or landlubber, will be surprised and amused by Sam's inventive solution in his quest for the seven-pound perch. Paul Hoffman has always enjoyed poetry and storytelling. 'Sam and the Seven Pound Perch' was written to entertain a group of young children (and their parents) during a family fishing vacation. Paul stays young at heart tutoring elementary school students and spending 'Papa time' with his five grandchildren Sophie, Anna, Elena, Oliver, and Sam.